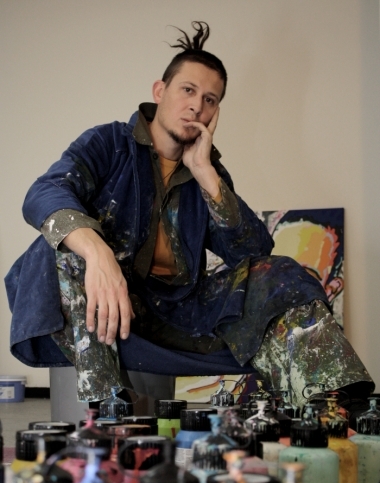 Bosko Providzalo is not only the first artist to travel with the ARTMARATHON: He is also one of its three founders, and it was his philosophy that started the journey. Since emigrating from Trebinje, Bosnia in 1991, he has mostly been living in Lucerne, Switzerland. Despite being barely 30 years old, he can already look back on an impressive quantity of works, and has developed a very distinctive technique and style of his own.